Food that Thai people eat is extremely healthy. Many of their dishes are based on coconut products: milk, oil, and water. Most recently, the western world has discovered that the coconut is not as bad as previously thought. In addition, tons of vegetables are always included in their dishes, ranging from leafy greens to legumes and roots to tubers. In Thailand, rice is served at almost every meal, including breakfast. Rice is consumed both through the familiar little white grains and in the form of rice noodles. Both are extremely healthy complex carbohydrates, which are also good for the human body. 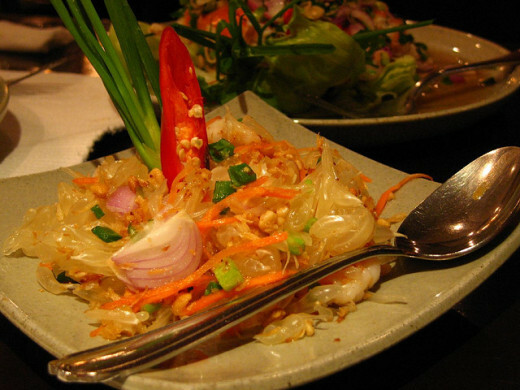 Different regions of Thailand tend to favor different flavors and styles of food. Read on to find out which region your favorite dish is from. 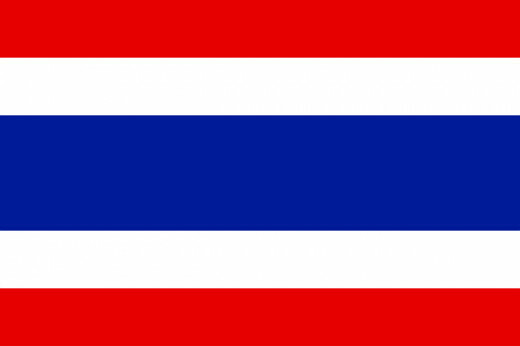 The foods from the Central Plains, including Bangkok, Thailand's capital city, are the ones commonly found in Thai restaurants around the world, especially in the western hemisphere. One of the most loved Thai dishes, the Pad Thai, comes from the central region. This famous hot dish of rice noodles, shrimp, tofu, bean sprouts, and a sweet & spicy sauce is served by street vendors and sit-down restaurants alike. Other common rice noodle dishes, such as Pad See Eiw and Pad Khee Mau are also Central Thailand. These dishes include meat and veggies, served over a bed of wide rice noodles. Along with the various rice noodle dishes, many of the common curries found in Thai restaurants also originated in the Central Plains. 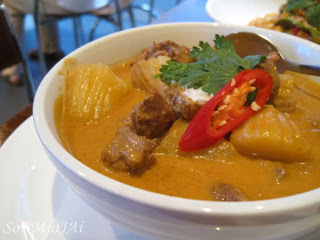 These include the red curry often served with chicken, and the green curry, traditionally served with duck. Of course, curry isn't any good without jasmine rice, a common staple in this region. Another very popular dish in Thailand, grilled chicken or gai yang, also hails from the central region. Sticky rice is often eaten with this grilled chicken dish. Popular Thai soups, such as Tom Yam (strong lemongrass flavor) and Tom Kha (coconut milk based) are often consumed in the Central Plains, although in sweeter varieties than found in other parts of the country. As far as vegetables are concerned, with a myriad of rivers and lakes in the Central Plains, water-grown watercress and morning glory are extremely common. Eggplant and bamboo shoots are also very popular. One unique feature of the foods found in the central plains is that they are a great blend of tastes found in the other regions. This is a result of the plains being centrally located. The people living in the central area of the country have taken the best from their neighboring regions and created some great blends. Most foreigners have the misconception that the foods found in central Thailand are the ones common to the entire country. This simply is not the case. It just so happens that the food served in western Thai restaurants comes from this area. Likewise, many tourists experience real Thai food in Bangkok first, perhaps leading them to think that everyone in the country likes that type of food. Up north, where the weather is much cooler and terrain is more mountainous, Lanna-style cuisine is served. With a much shorter growing season, food in the north is more unique than any of the other regions. 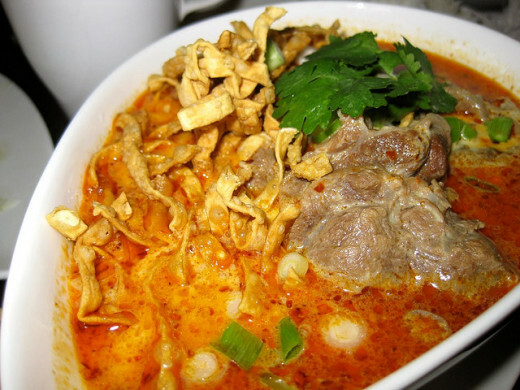 The most famous dish in the Chiang Mai area is Khao Soi, a coconut mik curry served over egg noodles. 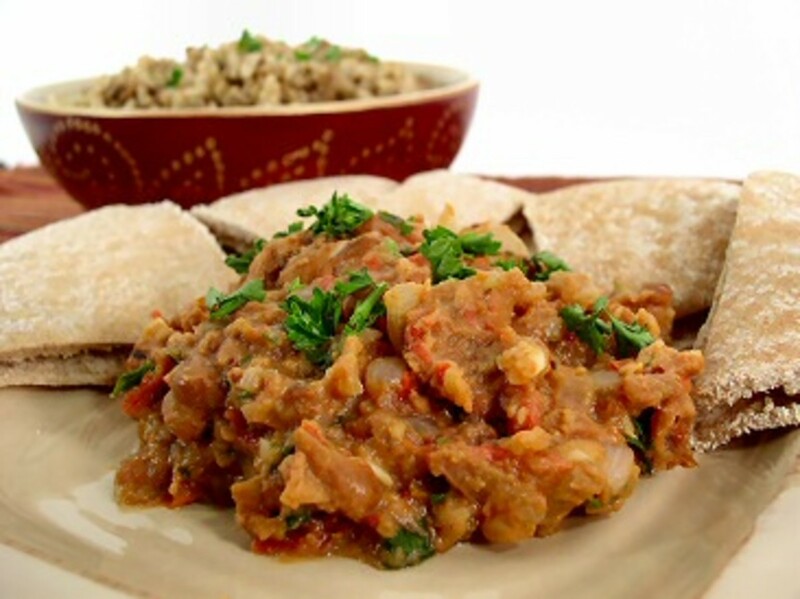 This savory dish is perfect for cold winter nights were temperatures can dip down to freezing. Chinese-influenced rice noodles eaten with curries, known as Khanom Jiin, is also a common sight in the northern part of the country. Often times, these noodles are eaten instead of rice. This is no surprise as China is on Thailand's northern border. 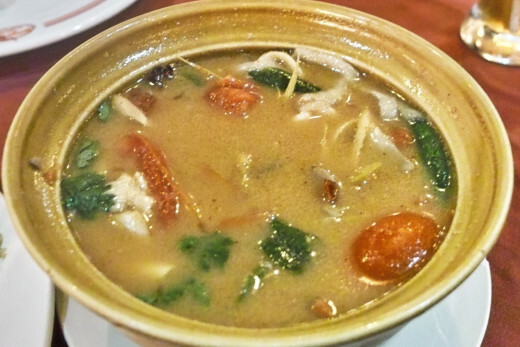 The Burmese have also influenced cuisine from Northern Thailand, being neighbors as well. The Thais enjoy a Burmese-style sweet curry with fatty pork and dried curry spices, called Gaeng Hanglah. Due to the cooler temperatures, people in Northern Thailand turn to mushrooms and forest vegetables more than the leafy greens found in other regions. Jackfruit is a fruit eaten in the north, which finds its way into curries sometimes. 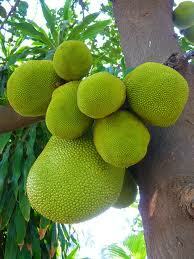 If any tastes in the north are acquired, jackfruit would be one of them. This dense-meat fruit has somewhat of a perfume-y taste to it. As a snack, northerners like to eat Miang, little scrumptious packages of sweets, salty ingredients, sour stuff, and spicy bits wrapped in a variety of different leaves. Common filling ingredients include small dried shrimp, roasted peanuts, garlic, shallots, lime, cashews, and mango. 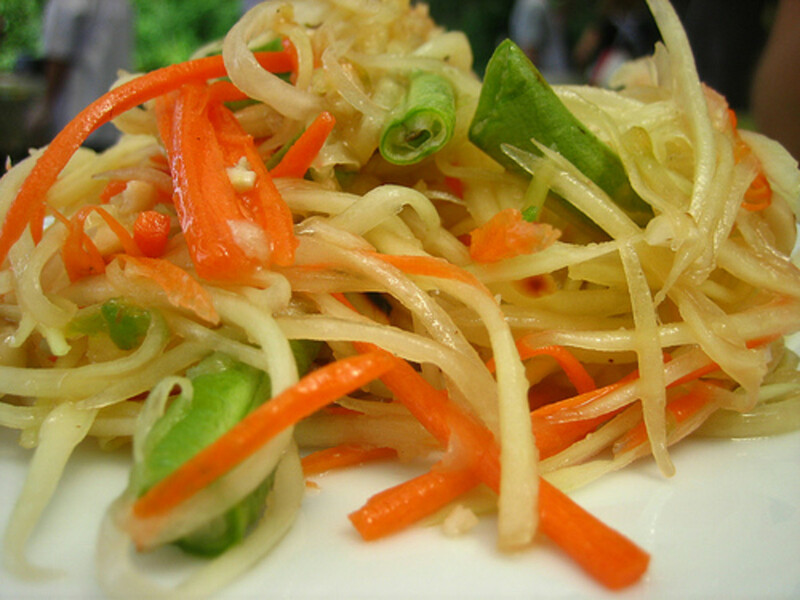 Often times, Miang are topped with fish sauce or palm syrup. In the north, there is definitely a nice blend of Chinese, Burmese, and other regional Thai cuisines, making their dishes the most unique in the country. In the northeastern region of Thailand, Isaan-style food is served. Isaan food is famous for being spicy, seasoned with fermented fish and fresh herbs. Some of Thailand's spiciest and most pungent salads are from this area. Sticky rice is the staple in Northeast Thailand, where they it over Jasmine, which is widely eaten in all the other regions. Grilled chicken, similar to the dish found in the northern region, is also very popular. A common style of preparing pork or beef, known as Naam Dok, is favored. The charred meat is dressed with dried chilies and fresh herbs, making them super spicy! The specialty of Isaan food lies in their fermented fish. Three types of fish are considered signature elements: pla ra, pla daek, and pla som. One unique characteristic of the people living in the northeaster part of Thailand is that they will eat any protein they can find. Of course, chicken, duck, pork, and beef are eaten. In addition, however, the Northeasterners have also been found to eat frogs, a variety of birds, water buffalo, lizards, snakes, red-ant eggs, and insects. People in the southern part of Thailand eat an abundance of seafood due to the country's huge coastline. Fish and shellfish are part of everyday meals in this area, including breakfast. The food down south is also the spiciest as they like to use little tiny chilies called "fresh tiny bird's eyes" or Prik Kee Noo. When used in dishes, these chilies are spicy, sour, and salty all at the same time. In the southern region on Thailand, there are many banana and coconut plantations. As a result, one can expect many dishes to include both items. Likewise, many of the curries in the south include coconut milk as a main ingredient. The most popular curry in the region is Massaman Curry, a sweet, rich Indian-influenced curry made with coconut milk and fresh herbs. There is a rather large Muslim population in the south, resulting in some of the curries to contain ghee or yogurt instead of coconut milk. This Muslim influence is usually found closest to the Malaysian border. 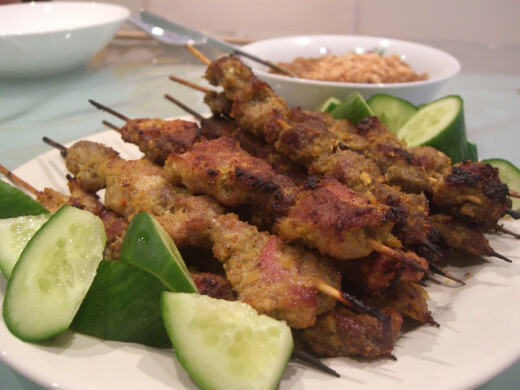 The appetizer-type food, known as Satay, is very popular around the world. 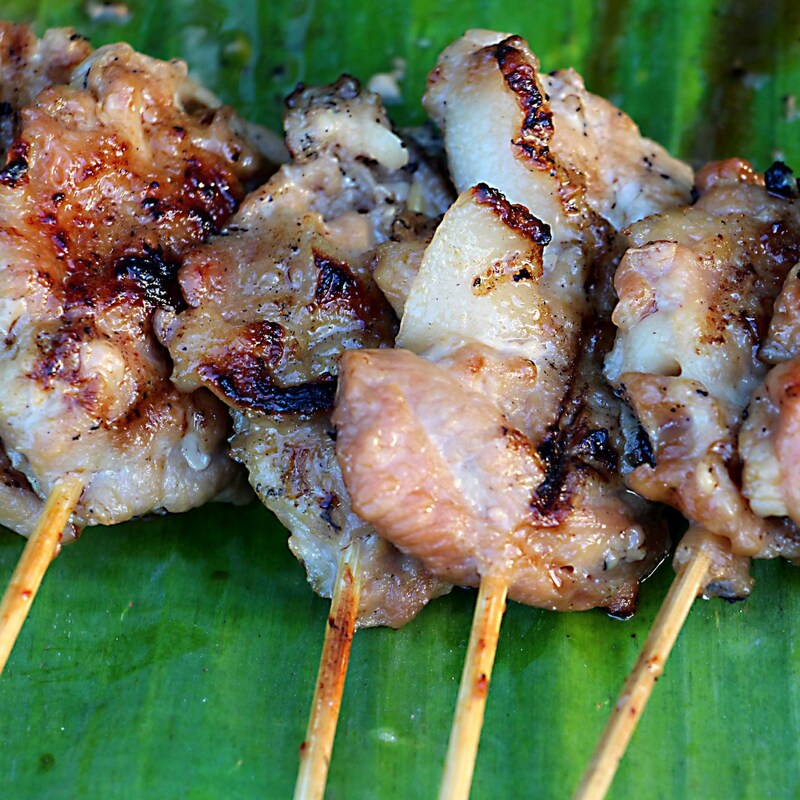 The skewered, seasoned chicken, port, or beef, grilled to perfection and dipped in peanut sauce, is loved by everyone. Usually, the dish is served with pickled cucumbers and chilies. In addition to eating rice, many southerners like to eat roti, a flaky, folded bread fried on a griddle. People eat roti for breakfast, filled with grilled bananas and then drizzled with sweetened, condensed milk. Roti is also eaten as a curry supplement. Which region's food do you enjoy most? gmmurgirl: Glad to hear you have a place you can go to for your fix of Thai food. I just can't get enough of Asian food, and living here in Colorado, it just isn't the same. Paul, it's always great to connect with people who are in Bangkok. I grew up there and left when I came to the U.S. for college. Never went back to actually live there. I do visit every 2 - 3 years as my parents still live there. I really miss AUTHENTIC Thai food. You're absolutely right. Americanized Thai food is not quite the same as what you get. Even a simple bowl of buh-mee nam (noodle soup) is different. I miss the fresh veggies and tropical fruits, which I devour when I'm in town. I love Thai food and there is this place in Manila where I often get my fix. It is something that I always look forward to eating. 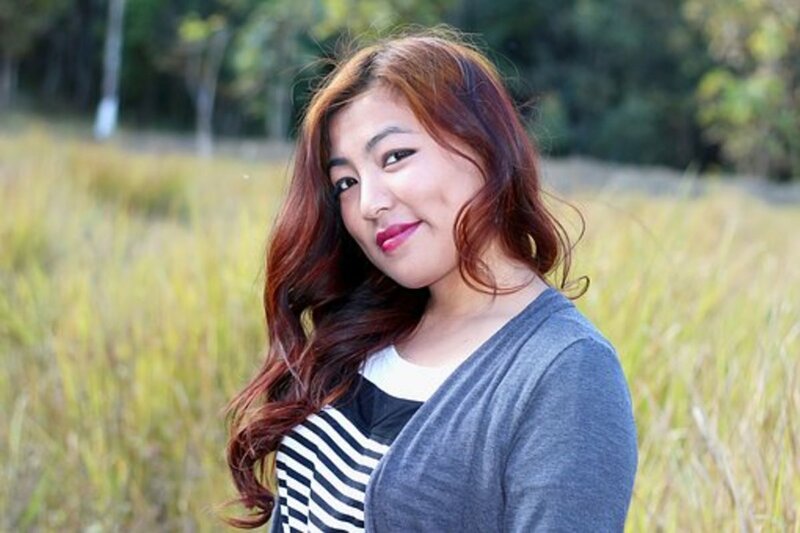 This is a great hub and I really like your photos. I found your article very interesting and something I can relate to, because I have lived in Thailand many years and sampled most of the regional dishes which you have masterfully introduced. I especially like the Isaan food because my wife is from that part of the country. I had Pad Thai one time in a Thai restaurant in Maryland and it tasted like spaghetti. If you want real Thai food, you must come to Thailand. Voted up and sharing. Also Pinning. socialninja: I hope you had a great time in Thailand. 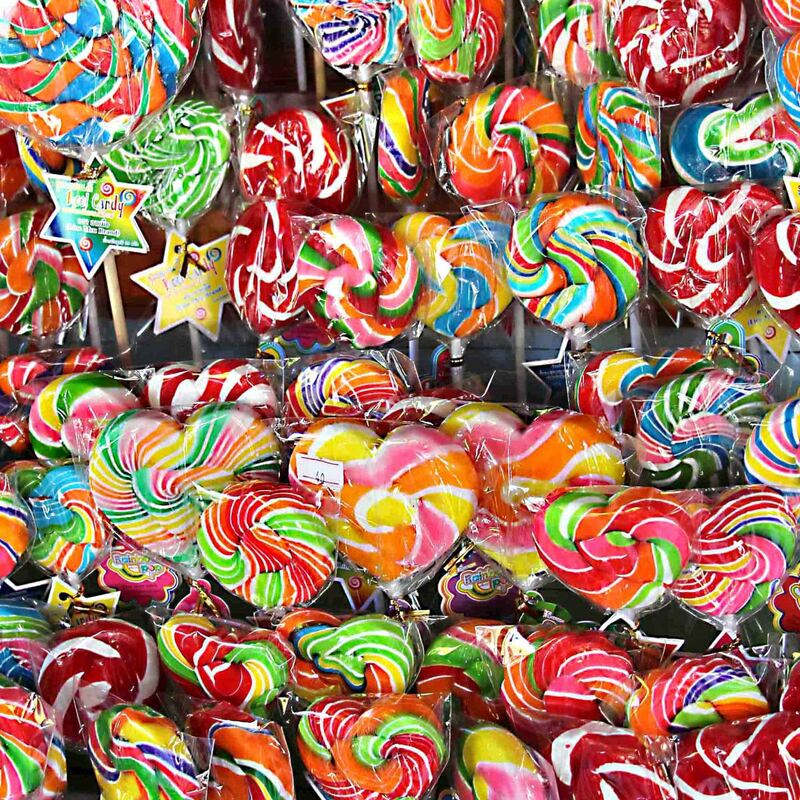 Not only is the food absolutely scrumptious in Thailand, it is also extremely inexpensive, relatively speaking. I grew up in Thailand and my parents still live there, so I'm lucky that I get to "go home" often and binge. Thanks for visiting my hub! 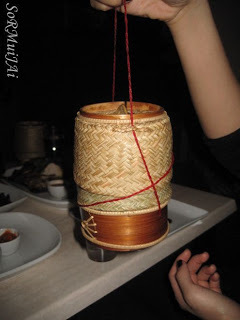 novascotiamiss: many people don't realize that the food is different in Thailand depending on the geographic region. People are used to what they get in Thai restaurants, internationally, which mostly serve central plains flavors. I'm always happy to run across people who love Thai curry. Thanks for reading my hub! Lizam1: sorry to hear that there's some non-authentic, or what I like to call "Americanized" Thai food, very much the way Chinese food has been served forever. The best place to eat authentic Asian food outside of Asia is in your own home. Thanks for the comment! Thanks for the information about the different regions. 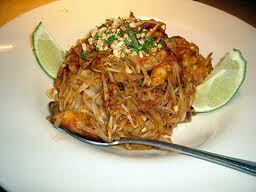 There is a lovely Thai restaurant here in Victoria - well in Sidney and I have created Pad Thai at home. Sadly some local \Thai restaurants are catering to the North American taste and some of the sauces do not seem very authentic. Your hub is very appealing and actually made my stomach growl. I love Thai food (especially hot curry) and could eat it almost every day. I didn't know that there is such a variation between the different regions of Thailand. Very interesting.